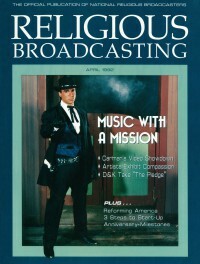 Dec 1986 in CCM "Notebook: Carman Celebrates"
Feb 1987 in Charisma "Why Do They Sing?" 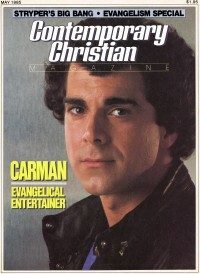 Dec 1988 in CCM "Notebook: Carman's 'Radical' Contest Winners Announced"
Dec 1991 in CCM "In The News: Carman Clip Causes Controversy"
9 Nov 1992 in Christianity Today "News: North American Scene: Singer Carman Switches From Benson to Liberty"
Jul 1997 in New Man "Close Up: Carman"
Short Form Music Video: "Revival In The Land"
Short Form Music Video: "A Witch's Invitation"
Rap/Hip Hop/Dance Recorded Song: "Addicted To Jesus"
Children's Music Album: Yo! Kidz! Contemporary Recorded Song: "Somewhere Within the Heart"
Inspirational Recorded Song: "Serve the Lord"
Rap/Hip Hop/Dance Recorded Song: "Who's In The House"
Rap/Hip Hop Recorded Song: "R.I.O.T. (Righteous Invasion Of Truth)"
Best Clip, Contemporary Christian: "Great God"